It least matters how engaging your website is, how many visitors you are getting in a day; your customer will surely go to your competitor, if they find your products to be out of stock. Many businesses fail to recognize this and thus, lack behind their competitors. Hence, when selling products online, it is crucial to do inventory forecasting well in advance. Inventory forecasting is making informed predictions about the stock required based on the sales history and trends in sales and demand. Proper demand forecasting helps the businesses with pricing, planning, goal setting, budgeting and much more and provides valuable information to make important decisions. The better you forecast the demand for your products, the more you can cut-off the inventory storage cost. The more inventories you hold more space and resources you will require to manage it. But, if you forecast inventory accurately, you will stock only the items that are below the threshold level and that results in a less inventory storage fees. Not forecasting the inventory and paying for unwanted storage fees can cut-out your profits. If the customers have to wait long for an item to receive, they are unlikely to buy from you again. The most important factors that affect customer satisfaction are the shipping speed, missed delivery or late delivery. Most of the delivery issues are related to poor inventory control, unmanaged inventory and lack of resources. Inventory forecasting can help you to solve this problem by helping you to stay organized and ensures that you will have enough products and resources available to fulfill the need of customer in less time. An Obsolete stock is an inventory that sits in the warehouse with little to no promise of a return on investment. Once the inventory reaches to its obsolete stage, it is difficult to take actions that convert into profitable returns. Companies that have not forecasted stock replenishment are left with the large quantity of the stock in their warehouses. With the standardized way of forecasting demand, you will not be left with the excess stock that isn’t selling. Inventory forecasting software will analyze the external factors like promotion campaign, price change etc. and based on that it will predict the inventory. Stock-out and oversell are the two fundamental reasons for the loss of sales. Many times, it may have happen that you have many of the slow-moving products sitting in your inventory which can cause unnecessary overhead and that may have result into low sales. 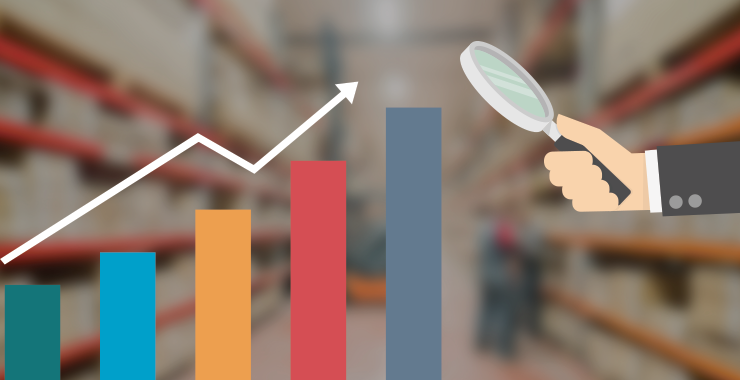 Inventory forecasting can prevent under-stocking and overstocking of products by helping you to order the needed quantity of stock to fulfill customer’s demand. By looking back at the historical sales data, you can figure out, how much quantity you can sell in near future and accordingly you can forecast inventory for your ecommerce business. Raw materials, logistics, warehouse rental, paid marketing, procurement, advertising are few of the avenues where the capital is invested. By forecasting inventory accurately, you will have better idea of where your funds should be directed. If you are already aware of the products that are surely going to sell, it is even easy to predict the sales figures. When the business grow, the need for additional manpower also grows. Knowing the manpower requirement based on the forecasting will help you in handling the operations in a better way. Hiring additional resources is time-consuming and if not planned in advance can result into shortage of resources and thus delayed operations. When you know the accurate number of products you require to order; you can room for negotiation with your supplier. The supplier can give you better price as he is aware about what kind of business he can expect from you. By buying timely and accurate quantities of products, you can portray yourself as a credible customer who wants to have long-term relationship. When it comes to planning production management, marketing, product design planning; Inventory Forecasting plays a crucial role. The data derived from the inventory forecasting helps in making decisions on promotions, pricing, purchasing etc which can have positive impact on the sales and profits. Inventory forecasting done in a right way can surely help to increase the bottom line. Inventory forecasting provides opportunities to the businesses to drive a better customer experience, streamlined operations and improved sales performance. Opt for an automated inventory management system to maintain stock accuracy and ensure accurate forecasting. Inventory management software: Why is it important?